In the latest version of Firefox you don’t need to use the Ctrl+F keyboard shortcut to begin searching a page. However this feature isn’t enabled by default, so follow this groovy tip to set it up. 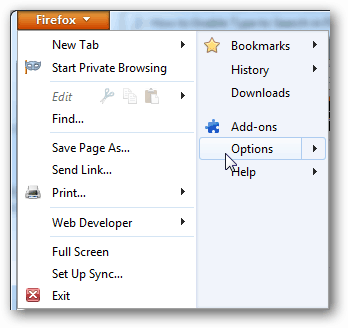 Open Firefox and click the top-left orange Firefox > Options menu button. In the options menu visit the Advanced tab and check the box labeled “Search for text when I start typing.” Click OK to save changes. 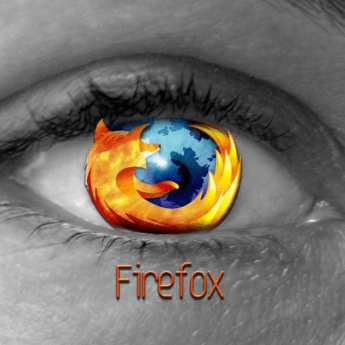 Now when browsing a page with Firefox, you can start a page-wide search by simply typing. 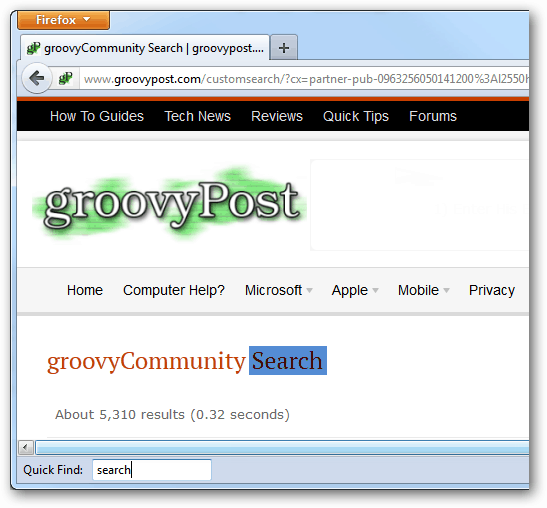 A search box will automatically appear at the bottom-left and matching text will be highlighted throughout the page, just as it would if you used the Ctrl+F search. Thanks for highlighting this very handy feature, Austin. I now find it especially useful when reading print newspapers. Searching for key words has never been so easy. Do you know whether this feature is also available with Internet Explorer 9 and Chrome and, if so, how do you enable it in these browsers? IE9 doesn’t have it at all. the ‘search line’ does not allow for NEXT or PREVIOUS searches – or for HIGHLIGHTing ALL or for MATCHing CASE. It is rare that the term I’m searching for only occurs once, so I use NEXT often. Crtl+F DOES provide the four features.